I don’t eat breakfast. I know that it is an important meal to start your day off right and all that but it’s just never appealed to me and I don’t get hungry until lunchtime. I have found that I can really embrace a nice glass of freshly squeezed juice in the morning. 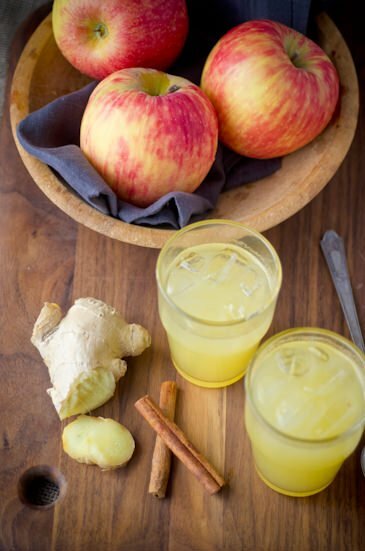 One of my very favorite ways to start the day is with this apple cider vinegar drink. 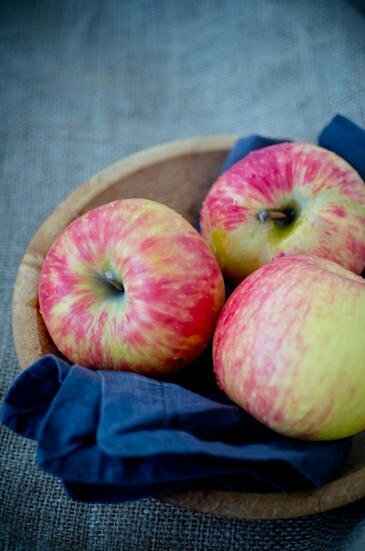 Apple cider vinegar is thought to have many health benefits such as aiding digestion, helps regulate blood sugar levels and promotes weight loss. It is also thought to help promote healthy skin since it has antibacterial properties and promotes blood circulation. I notice that my skin is much less likely to break out when I take one of these drinks on a regular basis. Best of all it tastes great and is a wonderful substitution for soda or other sweetened beverages. I love the tart flavor and it doesn’t leave a sugary coating in my mouth after drinking it. I will warn you that it can be an acquired taste so you might want to start with 1 teaspoon instead of two or increase the amount of apple juice or honey until you get used to it. 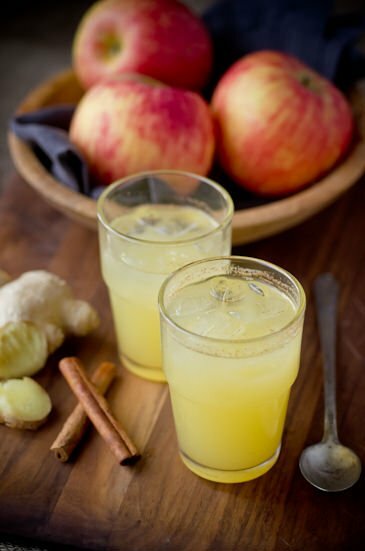 It couldn’t be easier, I juice an apple, throw in a little knob of ginger and sweeten the mixture up with a touch of honey and cinnamon. You don’t need to juice your own apple juice, It is important that you use organic unpasteurized vinegar to get the most health benefit’s, I use Bragg’s it’s a really good quality organic brand that you should be able to find easily. 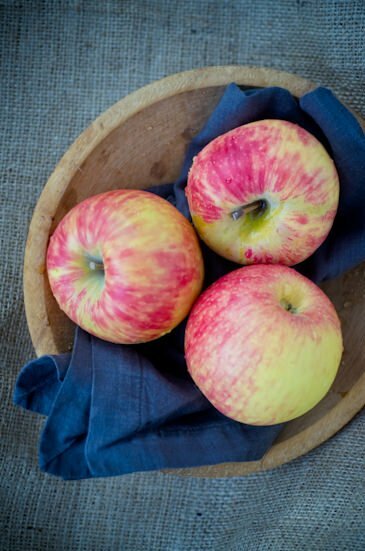 Whether or not there are true health benefits to drinking apple cider vinegar I love the taste and enjoy adding it to my morning wake-up routine. Give it a try and let me know what you think, I’d love to hear your opinion! 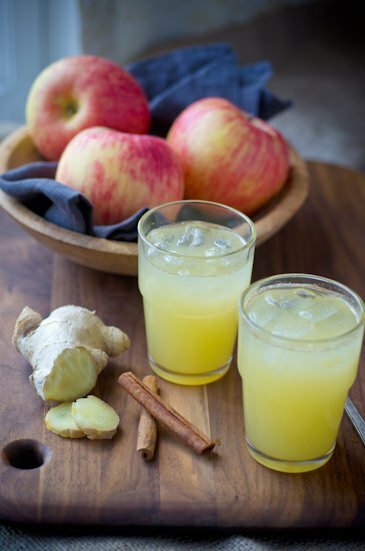 If using, juice the apple and the ginger together. 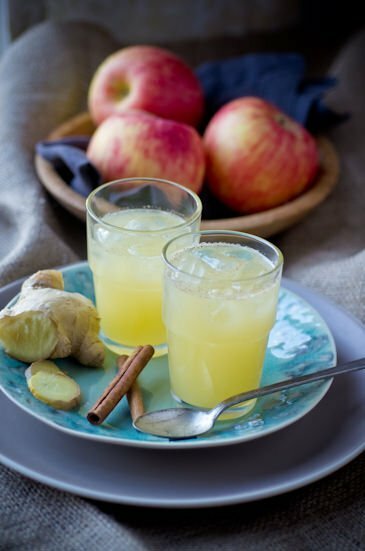 Alternatively pour the apple juice into a large glass and using a microplane, grate a tiny bit of ginger into the glass. Add the apple cider vinegar, cinnamon, honey or maple syrup and water and stir to combine. Taste and add more sweetener if desired. Just today I was reading Whole Living Magazine and they say “there seems to be some truth to that” citing several studies! I’m glad I came across your elixir, which looks like an appealing way to take advantage of apple cider vinegar’s health benefits. I love it! It’s so refreshing and satisfying. Let me know what you think if you try it! Have you tried a heated version for cold mornings? Do you need to change any proportions, etc? I’ve never tried a warm version but I think that it would be worth trying. You might need to add a little more honey to taste. Let me know if you try it and like it! So far, so good on the warm version! I forgot honey today and seem to have finished it just fine without it. Also experimenting with a bit of lemon. i used actual apple cider as my base, so that may have added enough sugar to be able to forgo honey. Ayurveda warns against heating honey. I wonder if I could use Stevia for a sweetener. I usually don’t like the taste of it, but perhaps in the vinegar it would be more palatable…. I’m really trying to eliminate sugars and have dropped 45 lbs so far by doing it (& a few other things, =) ). I have used Splenda to sweeten the elixir but haven’t tried Stevia. I find it a little too bitter for me sometimes. Let me know if you try it and like it! I don’t use splenda in my drinks, I usually sweeten with honey or agave if needed. This reminds me of homemade Thai drinking vinegars- vinegar infused with fruit, sweetened and then added to sparkling water, club soda, or cocktails. I will definitely give this a try. I love drinking vinegars. I did post a peach drinking vinegar recipe for Blissful Eats. Here’s a link if you’d like to check it out! Will the elixir keep for a few days? The elixir will keep for a few days although if you use fresh juice the sooner you drink it the better. Lets say I want to bring this elixir to work and I don’t have refrigerator.how to i store d elixir..stainless steel bottle ? How long can I keep it outside fridge.does it get spoiled? Damn, thanks very much for posting this! It is going to be so helpful when I get Cinnamon online! Very Beautiful! When using the knob of ginger, do you blend it to break it up? It depends on the power of your juicer. If you aren’t sure if it will extract the ginger very well, I would grate it with a microplane and add it to the mixture instead. Me 54 years old and patient of Rumotiod Arthritis at the age of 24, my both knees and hips joints are replaced.I was always smart but after minopaz at the age of 40 , it’s really hard to reduce,my fat is on my tummy. Can I try this in my daily routine. There shouldn’t be any reason not to give it a try. I have experienced the same issues as I’ve gotten older, it’s much harder for me to lose weight than it used to. 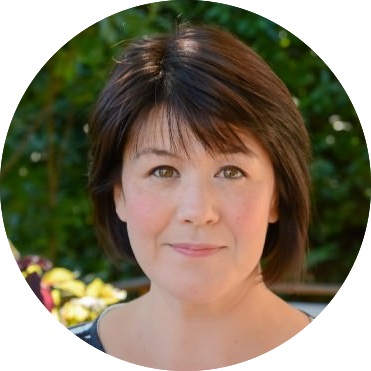 I have found it to be very beneficial for my digestion and helps me with sugar cravings. Let me know what you think of it and if you feel it’s beneficial if you give it a try!